By Dr John Briffa on 25 January 2008 in Food and Medical Politics, Healthy Eating, Unhealthy Eating! Those of you familiar with my nutritional beliefs will know that I don’t have too many good things to say about the ‘low-fat’ paradigm that has pervaded nutritional advice for some 30 years. Not only do I believe that there is not much to be feared in naturally-occurring fats in the diet, but the fat-phobia engendered in us has also tended to give the impression that carbohydrate-rich foods can be eaten with impunity. Actually, there is abundant evidence, I think, to suggest that a glut of carb in the diet might speed our path to excess weight, and the attendant problems that may result from this including type 2 diabetes. The fact that conventional nutritional guidelines may have actually contributed to the obesity epidemic was recently explored in an article published on-line in the American Journal of Preventive Medicine . Its lead author was Dr Paul Marantz, associate dean and professor of epidemiology and population health at the Albert Einstein College of Medicine at Yeshiva University, New York, USA. The crux of the article is that nutritional guidelines, particularly the party-line on fat, has been unleashed into the public domain despite the fact that there is little, if any, evidence to support its benefits for health. They also draw attention to the fact that the rush to de-emphasise fat in the diet has been accompanied by more prominence coming from carbs. As the authors of this article point out, as carbohydrate intake has increased, so has as obesity. They also draw to our attention that this may relate to the fact that people might tend to eat more as a result of believing that low-fat foods are ‘safe’. Also, they suggest that fat can help sate the appetite, which may put a natural lid of food intake. To these mechanisms, I think it’s worthwhile noting that the principle hormone that drives fat storage in the body is insulin ” and the primary driver for this is the consumption of carbohydrate. Dr Marantz and his colleagues do not make the case that any of this proves that the recommendations to eat a low-fat, high carb diet has caused the obesity epidemic seen in the States. However, they state there is a realistic possibility that they may have. And I have to say I agree with them. The authors go further, in reminding us that there is a dictum in medicine which states ‘First, do no harm.’ In light of this, and in the absence of convincing evidence that a particular dietary approach does good overall, they suggest that maybe the best thing to do is not to issue a guideline at all. If its evidence-based advice we’re interested in, then I don’t think you can fault the logic here. However, not everyone agrees with some of the sentiments expressed by Dr Marantz and his co-authors. The piece is followed by a commentary written by Dr Steven Woolf and Dr Marion Nestle of Virginia Commonwealth University and New York University respectively. In their commentary, they concede that nutritional research is far from perfect and can be a sometimes blunt tool with which to discern the truth about the relationship between food and health. There was no significant effect on total mortality (rate ratio 0.98, 95% CI 0.86 to 1.12), a trend towards protection form cardiovascular mortality (rate ratio 0.91, 95% CI 0.77 to 1.07), and significant protection from cardiovascular events (rate ratio 0.84, 95% CI 0.72 to 0.99). The latter became non ” significant on sensitivity analysis. Trials where participants were involved for more than 2 years showed significant reductions in the rate of cardiovascular events and a suggestion of protection from total mortality. The degree of protection from cardiovascular events appeared similar in high and low risk groups, but was statistically significant only in the former. So, what this means is that people at high risk of cardiovascular events appeared to be less likely to suffer a heart attack or stroke. However, those who are essentially healthy (that’s most people, by the way) did not benefit. And overall, NO LIVES WERE SAVED. Not exactly a ringing endorsement for the effectiveness of low-fat eating, unless of course you’re only concerned with focusing on subsets of the population (those at high risk of cardiovascular disease) and only one disease process (cardiovascular events) rather than focusing on broad, meaningful measures of health like overall risk of death. The other study Drs Woolf and Nestle quote to support the idea that low-fat eating can cause regression of atherosclerosis (furring up of the arteries) is a peach. It took individuals with heart disease and subjected them not just a low fat diet, but a aerobic exercise, stress management training, smoking cessation and group support (a clue to the methodology used in the study is in the title) . It is a truly fundamental principle of science that a ‘multiple intervention’ study of this nature cannot be used to prove the effectiveness of any single approach employed in the study. How do we know that the regression in atherosclerosis seen in this study was due to the low-fat diet? We don’t, because it could have actually been due to one or more of the other interventions. To quote this study as supportive of the supposed benefits of low-fat eating are, quite honestly, laughable (and shocking). Later on in their commentary, Drs Woolf and Nestle claim that fat is ‘causally linked’ with cancer. They quote a recent review of the literature that, although voluminous in nature, relies on epidemiological research that can only find associations between things and can never prove ‘causality’ . And they neglect to mention that in the biggest study to date to assess the effects of healthy eating (including lower fat consumption) on health, the result was NO REDUCED RISK is any of the 20 plus types of cancer that were assessed . Dr Marantz and his colleagues don’t pretend to have the answers. However, they seem to me to have the intelligence to know this and the humility to admit it. I think they make a persuasive argument that the traditional ‘low-fat’ paradigm is based on inadequate science. The ultimate irony, of course, is that it seems that it’s just this sort of inadequate science that has been cited by Drs Woolf and Nestle in an attempt to ‘prove’ them wrong. 3. Hooper L, et al. Reduced or modified dietary fat for preventing cardiovascular disease. Cochrane Database Systematic Review 2000. 6. Prentice RL, et al. Low-fat dietary pattern and cancer incidence in the Women’s Health Initiative Dietary Modification Randomized Controlled Trial. 1- Reasoned input could be valuable regarding the findings of Neal Barnard, MD and (his) Physicians Committee for Responsible Medicine (www.pcrm.org) who propound that the ingestion of ADDED fats (vs the necessary naturally occurring fats to which you refer) results in the currently most-diagnosed health problems (cardio, diabetes, obesity). In other words, the Big Biz intensely marketed “Super Size Me: color me a hypnotized pig-eater of added fat and sugar products” campaign is truly what results in the rising incidences of these killers. Propone “Do no harm,” you say?? 2- “those who are essentially healthy (that’s most people, by the way)” … if the current rates and forecasts of future cases of cardio, diabetes and obesity are as high as they are, then how can “most people” actually be healthy?? Didn’t the Dr. Atkins diet lie exposed by his widow show us anything?? Point 1 – I’m not sure what you’re suggesting here. Just to be clear, I believe in eating a diet rich in natural, unprocessed foods, even if these include animal fat. If Neal Barnard’s issue is with ADDED fat, then our beliefs are broadly compatible in this respect. Though, just to be clear again, I do not generally advocate a vegetarian/vegan diet (as the PCRM does). Point 2 – I was referring to individuals judged by conventional standards not to be at high risk of cardiovascular disease at the present time. I’m not aware of the ‘lie’ revealed by Dr Atkins’ wife – could you elaborate? And whatever the ‘lie’ was, is it supported by the science? You might provide this too. If it is true that “these [high protein] diets are supported by little scientific research” and “actually contribute to disease and other health problems” then you might list your sources of studies bolstering your position. These slides show the apparent effects of two diets in two different people on a surrogate marker of heart disease/cardiovascular events. Not exactly what you’d call damning evidence of the disastrous consequence of eating a relatively protein rich diet, is it? The PCRM piece on protein just a handful of studies to give the impression that high-protein diets are harmful. However, please note that these studies are epidemiological in nature, and therefore prove nothing (but associations). Note how the authors seem keen to stay away from discussing any of the clinical research into high-protein diets. Could that be because the evidence in the area is overwhelmingly positive? It is the PCRM that is responsible for the Atkins Diet Alert. Again, this site does a great job of aggregating any negative news or studies that relate to this dietary approach. But note, again, how doggedly they stay away from discussing the stack of positive research that exists. Let’s not be too surprised though, seeing as the PCRM is known to explicitly promote a vegan diet, perhaps for ideological reasons. As regards Atkins and the state of his heart: let’s assume he did have coronary artery disease. Is it your suggestion that this somehow proves carb-controlled way of eating causes heart disease? Because if it is, then this has as much merit as suggesting ‘Atkins ate vegetables and had heart disease, so vegetables cause heart disease.’ Perhaps you could clarify what relevance Dr Atkins’ cardiac health has with regard to this discussion. No dietary approach is 100 per cent safe, and you’re always going to be able to find some ‘science’ in an attempt to trash it. However, personally I’m in no doubt (on the basis of the research and my clinical experience) that carbohydrate restriction has broad merit. Please list “the stack of positive research that exists.” Thx. With regard to weight loss, I can find 7 studies that have pitted low-carbohydrate against low-fat diets for the purposes of weight loss (lasting at least 3 mo) [1-7]. At 3/6 mo, the low-carbohydrate diet was superior in terms of weight loss in all of these studies. 3 studies lasted a year. In one , the low-carbohydrate diet was superior, but in the other two it wasn’t [3,5]. However, in one study compliance was not checked , in the other it was and the compliance was low . Studies 8 and 9 are also supportive of this way of eating. A review by the Cochrane Collaboration was also supportive . In another review, the effects of lower and higher carbohydrate diets were compared . Overall, lower carbohydrate diets were found to bring about an average weight loss of 12.4 kg, compared with just 3.4 kg on the higher carbohydrate regimes. And here’s a meta-analysis that is supportive of the use of carb-restricted diets in type 2 diabetes . Many of these studies have found that this dietary approach has brought about favourable changes in surrogate markers of disease including blood lipids, blood glucose, HbA1c and insulin levels. Please do bear in mind these are all clinical studies or analyses of clinical (not epidemiological/observational) studies (just the sort of studies that the PCRM likes to stay well clear of when discussing high-protein/low-carb eating. Shame). 1. Gardner CD, et al. Comparison of the Atkins, Zone, Ornish, and LEARN diets for change in weight and related risk factors among overweight premenopausal women: the A TO Z Weight Loss Study: a randomized trial. JAMA. 2007 Mar 7;297(9):969-77. 2. Sondike SB, et al. Effects of a low-carbohydrate diet on weight loss and cardiovascular risk factor in overweight adolescents. J Pediatr 2003;142:253�” 8. 3. Foster GD, et al. A randomized trial of a low carbohydrate diet for obesity. N Engl J Med 2003;348:2082�”90. 4. Samaha FF, et al. A low-carbohydrate as compared with a low-fat diet in severe obesity. N Engl J Med 2003;348:2074�”81. 5. Stern L, et al. The effects of low-carbohydrate versus conventional weight loss diets in severely obese adults: one-year follow-up of a randomized trial. Ann Intern Med 2004;140:778�”85. 6. Brehm BJ, et al. A randomized trial comparing a very low carbohydrate diet and a calorie-restricted low fat diet on body weight and cardiovascular risk factors in healthy women. J Clin Endocrinol Metab 2003;88:1617�”23. 7. Yancy WS Jr, et al. A low carbohydrate, ketogenic diet versus a low-fat diet to treat obesity and hyperlipidemia: a randomized, controlled trial. Ann Intern Med 2004;140:769 �”77. To Add : High protein (or adequate protein does not mean high fat. The fat naturaly occurring in meat and fish is not a problem if the junk carbs are not eaten with it. Protein is definitely more satisfying. If you eat a high carb breakfast you are hungrier by lunchtime. Those arguing against this are missing the point and Atkins is not the only low carb diet. Since when are carbs ggod for us. Low fat foods add more sugar than the ordinary brands (biscuits, yogurt etc0. We shouldn’t be eating those anyway. Why cant SuprtsizeMe just see that yoiu are WRONG WRONG WRONG!!! PCRM are one of the most idiotic group of anti meat lobbists that I have ever had the not too pleasant task of asking questions of. Try writing to them to get answers to particular questions on health & diet all you get back when they bother to reply is a response that boarders on the fanatic with no interest in debate of ideas or any admission that they are wrong or could possibly be wrong about meat & saturated fat, even when you produce “science” to back up your ideas. As for attacking a dead man (Dr Atkins) one who actually died from a blow to the head & not a heart attack & deliberatly misquoting his widow, says it all anyway. It is absolutely no secret that the Dr had viral cardio myopathy if any one has bothered to read any of his books you would find he actually discusses this, plus nutrients that assist in recovery or negate the need for a heart transplant – which he obviously didn’t have! One also only needs to see video of his tv appearance a month or so before his death to see that he was far from “obese” but then why would PCRM let the truth get in the way of a good story!! Do you get the impression that PCRM (and devotees such as SuperSizemeSux) are more interested in ideology than good science and good health? Whoa. Stand down please. I’m not here to get slammed for asking questions. I’m a software engineer, not a physician (altho’ my father was one of renown, thus I was raised to believe that deep down physicians really only want to help people). I look forward to your weekly email and thought I could ask questions here. Oooops, incorrect I guess. Maybe I don’t exactly understand “high carb.” To me it’s greens, fruits, legumes (protein), vegs, nuts, seeds, whole wheats and good grains, afterall, why would anyone create a “diet” involving bags of sh*t & sugar? (Except the movie, “Super Size Me.”) “Low carb” from what I’m beginning to understand in essence means truckloads of animal products (animal protein) and oils (lard and veg). Fats. To my aging mind: thins vs fats. I didn’t expect it to be a war. I am not a devotee of anyone or anything, I don’t know PCRM or Dr Barnard, I saw him on Oprah or some other TV interview and thought he sounded reasonably conservative and subsequently read one of his bestselling books. That’s all. He’s known to millions, a prolific author of a dozen books and there’s a wiki on him. It’s alarming to know that the USA will board certify (in not one but two specialties) an “idiot,” as you call him. But if they do and he’s wrong I’m grateful to you all for bringing that to my attention, it should vastly affect my family’s health and the sooner the better! And what about Michael Roizen, MD and Mehmet Oz, MD (wiki also, half-dozen bestsellers)? I’m currently reading their book, “YOU: Staying Young” which Oz and Oprah refer to a lot (he’s a regular on her show). It’s hard to know where to turn and who and what to believe these days. Thanks again for your valued input. That list of ‘references’ is not a list of scientific articles: it also includes references to newspaper articles, magazine pieces, newsletters, TV shows and books – and many references appear multiple times but are referenced individually (sneaky, but good for making it look as though there really is a stack of evidence to support your view). And let’s be clear: those oh-so-important clinical studies that may (or may not) support your anti-high-protein/low-carb stance still seem to be missing from your posts. You tell us that Dr Mehmet Oz is a best-selling author. What’s the suggestion here: that there must be some truth in what he says? If that’s the case, then what about Dr Atkins? Thank you for your appreciation of my input. You are more than welcome. It’s fine to ask questions, if you really want to find answers and you say that you do Supersizemesux. What you will learn is that different diets work for different people. The essential core of healthy eating, is to eat as little processed food as possible. For every doctor that recommends a low-carb diet and can provide patients with good blood results and weight loss, you will find a high-carb non-fat diet doctor who will claim the same. They can’t both be right, you may ask? What may work for Dr Ornish’s patients, doesn’t work for me- and I know, because I spent a miserable year eating this way and I lost no weight and my cholesterol levels got worse. I moved house and my new GP recommended Dr Atkins’ book. He warned me that it may seem like dietary logic has been turned on its head, but to give it a try. It worked. No more indigestion, my triglycerides dropped to just above normal and my HDL improved. It’s the hostility towards this dietary approach that is most upsetting. If it works for you, then be happy and stick to it. You don’t have to eat mountainloads of lard or butter or cheese. Now, some 9 years later, I base my diet on vegetables and fruits and nuts, with more protein from eggs and fowl and game and fish. I don’t eat grains or pulses, as I don’t feel too good and the lectins in pulses have been shown to cross the blood-brain barrier and as I also have MS, this may not be a good thing. I did try a vegan diet last year, but without pulses, it’s impossible to get enough protein, so I eat game and fish. I felt great, but as I’m not a person who believes that eating meat is murder, I found the company of dedicated vegans to be uncomfortable. It’s keeping an open mind that is the key. Read, read and do as much research as you can. You don’t have to take anyone’s advice. Please may I also be clear? I am NOT pushing anything: I am trying to determine what is good about saturated and hydrogenated fats; and how much to ingest, for what purpose and who propones it on what basis. My father (physician) told me they only got 6 weeks study on nutrition in med school and that was at the beginning of about a decade of study and I know that hasn’t changed (but more and more physicians are reported to be researching nutrition “on their own time” these days). Further, Canada has a shortage of GPs, there are 000,000s of us without one … yet “ye olde boys” won’t permit the immigrant physicians to practice here even if they pass the exams. So we seek information in order to try to manage our health as best we can. There are lots of MDs with websites now, some pushing their books and other products. But to me they seem to be at war, and it’s my health at stake. Maybe I’m in the wrong forum, should I seek input from the bio sciences? Are they at war also? PS- My suggestion about Dr Oz? Do you really believe that Oprah Winfrey and the TV networks would constantly put a cardio quack or an “idiot” in the face of 50 million viewers? She only has US$ 2 billion and he and the networks combined much less, do you think that’s enough for a few million joint-and-several lawsuits? I got the impression from the tone of your emails and the fact that you referenced plenty of vegan/anti-Atkins/anti-low-carb/anti-protein sources that you were indeed pushing something. I stand corrected. Not sure what forum would be right for you – I’m not aware of any branch of medicine and nutrition that is immune from controversy and difference of opinion. I take your point about Oprah and Dr Oz. I don’t think he’s a quack, but I believe he takes a conventional line on, say dietary fat, and if so (I haven’t read his book) then that’s probably going to be misguided. Now, with regard to litigation, which do you think is the bigger risk: to use an expert that gives out conventional wisdom (e.g. saturated fat and cholesterol are bad for weight and health) or one who makes statements and gives advice that sound controversial and possibly downright dangerous (e.g. ‘fat isn’t inherently fattening and neither saturated fat nor cholesterol cause heart disease (even though he or she may be right)? And which of these individuals do you think may be more palatable to the advertisers of drugs and food products that are sold on the basis that fat and cholesterol are bad (e.g. statins and low-fat/low-cholesterol foods)? 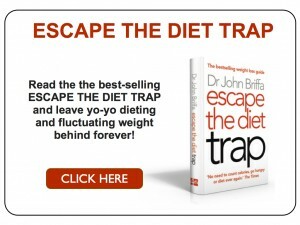 if you want a free walkthrough re fat biochemistry, then google Chris Masterjohn and have a read through his website. I found some of it needed a couple of reads before i understood it, but found his explanations pretty good. Your point about litigation is well taken. Winfrey “doesn’t need any more shoes,” she says. Her stated mission is helping people and attacking destructive behaviours including obesity (which evidently challenges her own body). Her unstated mission evidently is mass marketing. What does “her friend” Dr Oz recommend? The gist of what he propones is on his website, the details are in his (Med101) books. Here are some salient pastes re anti-obesity dieting from http://health.discovery.com/fansites/droz/excerpt.html, excerpt_02.html and excerpt_03.html (3 pgs). •	Remember that waist is more important than weight. Belly fat is one of the strongest predictors of health risks associated with obesity. Ditch the scale in favor of the tape measure. Measure your waist. Ideal is 32.5” or less for women, and 35” or less for men. •	Eat foods with fiber, healthy fats (monounsaturated and polyunsaturated), whole-grain carbohydrates, and protein [from legumes], as well as fruits and vegetables. Eat a little healthy fat before your meal (like one handful of nuts) to allow the satiety signal to go from your brain to your stomach, so you don’t overeat during your meal. Eat fiber in the morning to help control afternoon cravings. Eat anti-inflammatory foods to help counteract the effects of obesity. Anti-inflammatory foods include green tea, omega-3 fatty acids (found in fish and walnuts), coffee, vegetables, and fruit. •	Drink a glass or two of water before you eat. Your perception of hunger signals may actually be thirst signals. •	Keep on hand emergency foods and items that can help you kill cravings, like V8, carrot sticks, an apple, or even Listerine breath strips. •	Two spices have been shown to aid in waist management: red pepper and cinnamon. •	Use nine-inch plates for meals. Smaller dinner plates equal smaller portions. •	Take two aspirin (162 milligrams) every day to decrease arterial inflammation and health risks associated with obesity. Consult your doctor first. •	The following supplements have been shown to have effectiveness in some aspect of waist management: chromium picolinate, grapefruit oil, Garcinia, Hoodia, 5-HTP, L-carnitine, coenzyme Q10, turmeric, jojoba beans, simmondsin. Consult your doctor about which ones may be appropriate for you. Getting back to your litigation point, Winfrey is strongly promoting Oz, Al Gore and vaccines-cause-autism (Jenny McCarthy). While she says she’s concerned about the state of the world she remains one heckuva marketer. I suspect she’s getting a piece of everything she promotes. Do the actual foods Oz recommends sound like those “idiotic anti-meat” guys to you? Re Masterjohn’s rebuttal of Campbell’s rebuttal (of Masterjohn) @ http://www.cholesterol-and-health.com/Campbell-Masterjohn.html. The following are statements I don’t believe Masterjohn is qualified to make and I would like to know if they are true. Thanx. 1. “Price provides X-ray photographs within his book documenting the ability of his experimental diet to completely inactivate active cavities without the need for oral surgery by inducing the remineralization of dentin and the sealing of the carious tooth with a glassy finish.” Is this possible? 4. “Those groups that have eaten fewer animal products have sought out those animal products with the highest nutrient profiles, like shellfish, fish heads, or whole insects and frogs.” Yes, but this statement refers to uncivilized jungle & mountain folk. If civilized folk know which are the ideal foods to ingest (rather than what Big Money markets to ingest) then they likely would easily(?) find and ingest the best choices? 5. “It would take just over a quarter pound of beef per day to fulfill the minimum requirement for zinc, yet a single serving of oysters per week fulfills the same requirement.” What about taking a pill?? 6. “One would have to eat two servings of salmon per week to meet the minimum requirement for vitamin B12, but would only have to eat clams once per month to meet the same requirement.” Again, what about taking a pill? On the whole, I like Dr Oz’s recommendations. Does he say anything specific about meat/saturated fat/cholesterol? Yes, Roizen & Oz say a LOT about meat/saturated fat/cholesterol, too much to quote here. I’ve only read one of their books, YOU: Staying Young. Probably they discuss those topics in their other writings as well. To SupersizeMe : I am replying to an older post from you as I have just seen. Your description of a high carb diet (greens, nuts etc) is not a high carb diet at all. A high carb diet would be lots of pasta, rice , grains, potatoes etc. So this just goes goes to show that we need to define our key terms before we start. TYHe dietician’s food pyramid is high carb as it is does not include fruits and veg in the carb section, just rolls, bread , buns . pasta etc so looking at all of this plus the fruit and veg which is also carb makes it a high carb diet. Most successful low carb dieters report greatly increasing their consumption of veggies, substituting those for the starches. Recent studies show that, under conditions of carbohydrate restriction, fuel sources shift from glucose and fatty acids to fatty acids and ketones, and that ad libitum�”fed carbohydrate-restricted diets lead to appetite reduction, weight loss, and improvement in surrogate markers of cardiovascular disease. I’m kind of unsympathetic to the PETA apologist here who was “just asking questions” when he couldn’t even get the point of “SuperSize Me”–which was that fast food’s terrible for you. Would PETA not agree with this assessment? I mention PETA because PCRM is a front group for them. You may now dismiss anything else they ever have to say as ideological bunkum. My ire was raised against them a long time ago for many reasons, among them: (1) The idea that vinyl leather substitutes are better for the planet than leather, when there is substantial evidence that the production of PVC causes cancer in the neighborhoods surrounding vinyl plants, and (2) the idea that razing forests, plowing fields, and killing “pest” animals in order to grow monocrops is somehow more beneficial to animals than raising them for food. One cow versus several dozen small mammals and hundreds of insects? No contest. But I’m the murderer… okay then. Never mind that if we all suddenly stopped eating meat, domesticated animals would die, because they can’t survive on their own. That barn door, my friends, was shut a long time ago. No pun intended, and I digress. I own several of Dr. Atkins’s books, including three versions of his Diet Revolution–including the 1970s version that I was fortunate to find at a thrift shop. It’s fascinating to see how his thinking has changed over the years, although I suspect he was largely softening the blow in order to avoid alienating people who most needed to be on the diet. But it’s equally fascinating to note that except for his recommendations to eat meat and fat, including saturated fat, he sounds like any number of these naturopathic doctors the PETA types love so much. Ain’t that something? His main point, missed in the frenzy to paint him as a kook, is that people are healthier on nutrient-dense foods. I look at it this way: Make your foods serve double or triple duty. Don’t just eat them for energy. With fruits and vegetables you get fiber plus massive amounts of micronutrients. With animal protein you get the building blocks for muscle, plus an energy source (if you don’t need all the protein you eat for muscle, you can turn about half of it into glucose). With fat you get an energy source and building blocks for hormones, nervous tissue, cell walls and a whole host of other things. What do you get from grain foods? Energy, basically, and a type of fiber that scours your intestines and irritates the hell out of them. There isn’t one single nutrient in grain that you can’t get somewhere else, so one wonders what the point is of believing that you can’t have a balanced diet without it. I have been interested to read most of the comments in this thread. Food and nutrition certainly raise a lot of strong feelings from people. I have just read ‘The China Study’ by Dr.Colin Campbell and Thomas Campbell. There has been strong scientific evidence that too high a protien diet can have harmful effects on health. And there is also strong evidence that getting most of your carbohydrate and sugar from vegetable matter (Vegetables, pulses, fruit etc) is good for you for the last 50 or more years. There are too many very rich and powerful drug and food interests intent on maintaining their markets. It is these large commercial organisations that actively suppress any science that could harm their existence. Colin Campbell tells of a cardiologist who could cure his patients by diet. He was ostricesed by his colleagues who still used heart bypasses , stents and surgical intervention to alleviate symptoms. They would have no work if heart disease could be cured by correct dietry advice ! For example why hasn’t E102 been banned? The science has been around for long enough. Banning E102 would cost manufacturers money. Thats why. 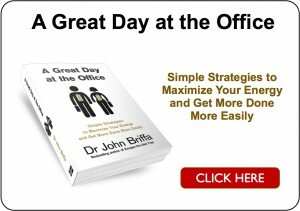 See Dr John Biffas posts on the subject. Enough of my rant on political suppression of good science.